Are you considering to move to Guam? You may want to consider renting an apartment or condo in the Tumon area. Tumon is considered the downtown of Guam, where you have a bountiful of restaurants, bars, hotels, and shops just a stone throw away. Many condos and apartments in Tumon are also walking distance to the beautiful beaches of Tumon Bay. Located just 5 minutes away from the Guam International Airport, Tumon is the most central village of Guam. Tumon Bay is lined with many world class hotels such as the Hyatt, Hilton, Westin, and Marriot to name a few. If you are into shopping there are quite a few boutiques the line the streets of Tumon Bay. For those moving to Guam on military orders, the main military bases are approximately 20~30minutes drive. Both Andersen Air Force Base and Naval Base Marianas are about equal distance from Tumon. The village of Tumon (on Guam, we don’t have cities, we have villages) surrounds one of the most beautiful wildlife preserve beaches on Guam, Tumon Bay. 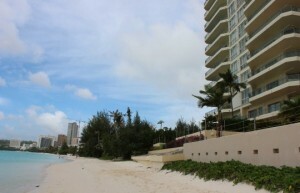 Most of the condos and apartments are along Tumon Bay. Now the big question, which condos or apartments in Tumon are the best? In Tumon there are quite a few options of condos and apartments. Depending on what you are looking for, the best condo or apartment will differ. If price is of no concern, you may want to consider Villa Kanton Tasi. 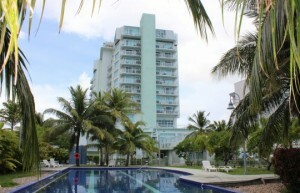 It is the most exclusive Tumon condo on Guam located right on the beach. If being on the beach is what you want, the Guam Beachfront Residence is one of the more popular places in Tumon. On the other hand if you are looking for a condo or apartment in Tumon that is a good combination of price, size, & location you may want to consider one of the San Vitores Condos (San Vitores Court, San Vitores Village, San Vitores Terrace, etc.) These condos are located just 2 minute walk from the most happening spot for dining and nightlife in Guam. In the area there is a good variety of great restaurants of all price range and ethnicity. For a night out in town, the area boasts a variety of bars, pubs, & clubs. For those that are looking for a view, then you may want to consider the Pia Marine or Pia Resort condo. These are high rise condos with a great view of the ocean and Tumon Bay. From many of the units you can have a view of the whole Tumon Bay. These are some of the best condos and apartments in Tumon. Depending on your wish list, you are sure to find the right condo or apartment in Tumon for you. With so many options for apartments and condos, you really can’t go wrong finding a place in Tumon. 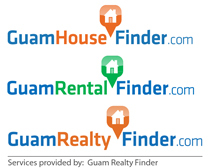 If need more information, take a look at our many videos on Youtube channel, Guam House Finder, or shoot us an email at info@guamhousefinder.com.